A six-day celebration in Cornwall of Islamic culture would be welcomed back, despite complaints about noise from loudspeakers calling people to prayer. 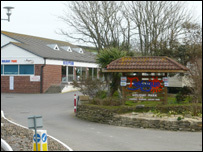 About 700 Iranian Muslims have been at the Trevelgue Holiday Park in Porth. The event, described by staff as "a lovely few days", involves three daily calls to prayer on a loudspeaker system - at sunrise, noon and sunset. The council said the early call brought some complaints but noise levels were checked by environmental health staff. Event organiser Ali Naghieh said: "We've had environmental health checks and we've had the maximum levels we can have, and we've stuck to those levels. "We also asked neighbours, and the feedback we've had after a few days have all been positive." Andreas Christopheros, spokesman for the holiday park, said the park had received some complaints, but the group - which arrived on Saturday - was "one of the nicest and politest" his staff had dealt with. He said: "They are leaving tomorrow and I am disappointed at the small number of complaints - we have staff living on site who said they weren't woken up by the noise. "They have really taken time to educate us about their religion and invited all of the staff and their families to take part in the celebrations. It has been a lovely few days." All alcohol was removed from the site's bars in preparation for the visitors' arrival and they brought their own Persian chef to cook the meals for the guests who are celebrating the Persian New Year. "They just found us on the internet," said Mr Christopheros. "And if they were to come and stay with us again, we would welcome them back with open arms." He said the holiday park catered for many different groups throughout the year. It is best known as the home of the annual Run to the Sun Festival: a custom car, Volkswagen and dance event in May. Porth councillor Harry Heywood, of Restormel Borough Council, said: "I haven't heard anything. Only a very few people seem to be annoyed. "It really isn't a problem. We get thousands of youngsters here every year when GCSEs finish and they make more noise."